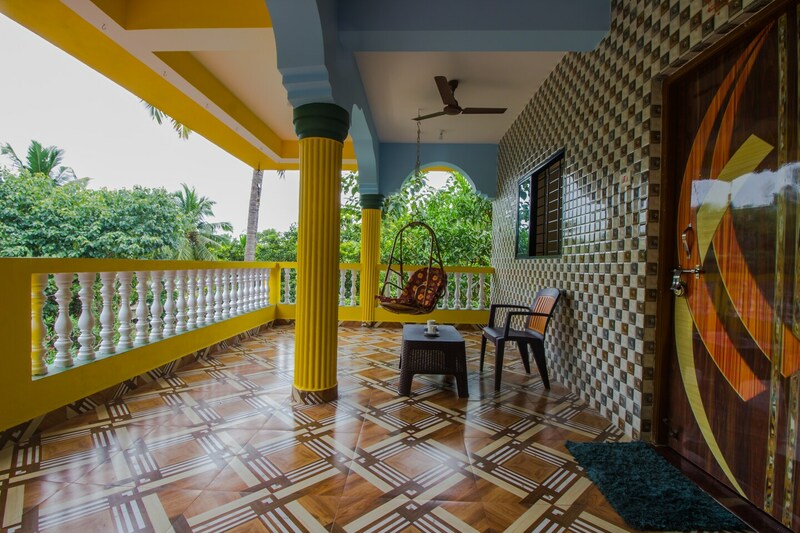 OYO 22854 Home 2BHK With Balcony Arambol is the right choice if you want to stay close to Goa action while enjoying a comfortable stay. For any kind of assistance you need in relation to your stay, our skilled and friendly staff is just a call away. From regular to exceptional, you will find all the amenities such as AC, 24/7 Checkin, Cutlery/Crockery in your room ensuring you have a pleasant stay. Wander around the city visiting its top attraction like St Anthony'S Church, Querim - Tiracol Fort and Chapora Fort. Come back to rest your head in OYOs peaceful environment. Dont worry if you get short on cash, as there is HDFC bank & ATM, ATM Arambol and BOI ATM located at a walkable distance.